Microblading is an eyebrow enhancing procedure that uses multiple needles to deposit pigment underneath the dermis, and gives the appearance of thicker, defined brows. Also known as semi-permanent eyebrows, the method works best for those who want to reshape, define, and cover bald spots—and it can render an eyebrow pencil irrelevant for up to a year. 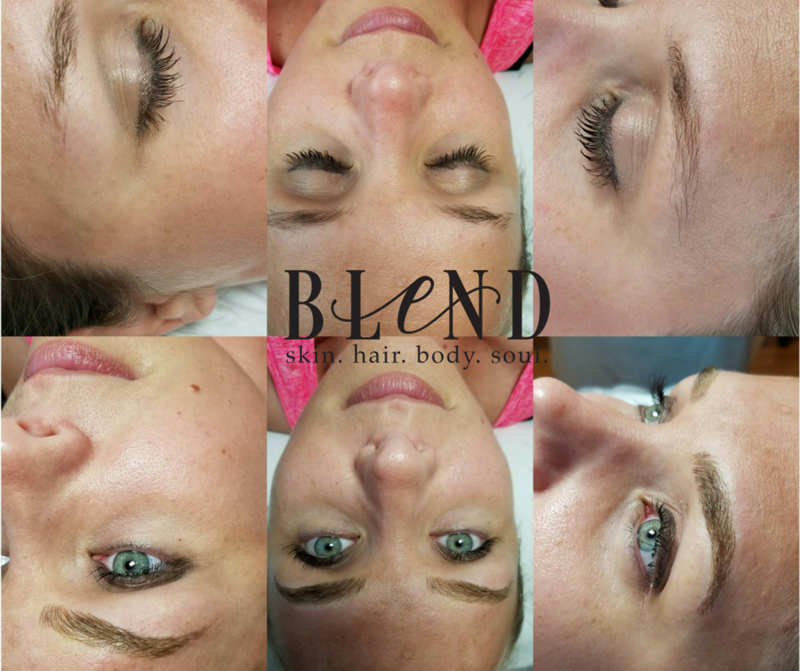 With the sudden popularity and media attention to the term “Microblading” many are lead to believe Microblading is not a tattoo process. Permanent Cosmetics, micropigmentation, dermal implantation, microblading/microstroking, eyebrow embroidery and long-time/long-lasting makeup are all different names for the same procedure – cosmetic tattooing. Anytime color is placed into the skin with any device it is a tattoo process as defined by many well-informed regulators, the medical community, and dictionary sources. Denying this process as a tattoo can be problematic for those who would for religious or personal reasons, would normally refuse to have a tattoo. 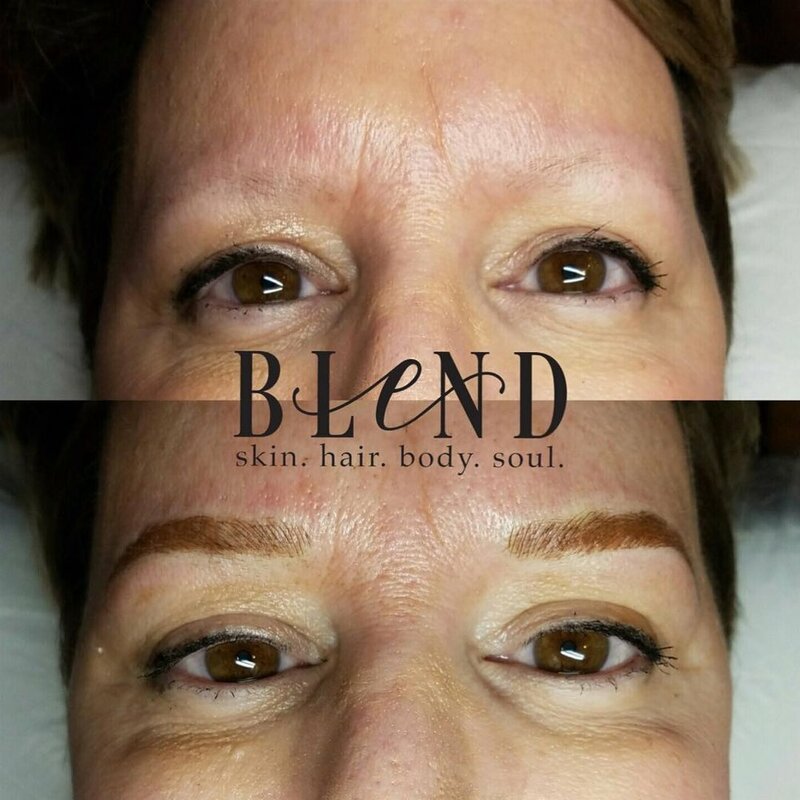 No, Microblading is performed with a grouping or configuration of needles affixed to a handle to manually create lines that resemble eyebrow hairs. Manual methods have been used through the ages, and the tools have gone through changes over time through pre-historic sharped stones to the handtool devices currently being used. An actual scalpel or cutting type blade should not be used under any circumstances as these are considered medical devices and cannot legitimately be used for this process. Any handtool device (i.e., both handle and attached needles) used for microblading should be pre-sterilized and fully disposable. No, some are promoting microblading and eyebrow embroidery as a semi-permanent process; and that the color only reaches the epidermal (outer layer) of the skin. A careful review of basic skin anatomy and physiology would reveal this is not true. By definition and tattoo industry standards, color is tattooed/implanted into the dermis of the skin. If pigment particles do not reach the dermis, they will disappear during the healing phase of the skin, during normal regeneration of cells at the epidermal. Pigments do fade in the skin over time, but that does not make the process semi-permanent. It is impossible to predict how much pigment will fade away and how long it will take to do so with any measure of consistency or reliability. This is simply because a smaller amount of pigment is inserted (tattooed) into the skin as compared to fully or solidly filled eyebrow tattoos. No; if someone is new to the industry and does not already have a minimum of 100 hours of training in permanent cosmetics, they need to have a similar amount of training in microblading, even if it is just for that one type of procedure. There are many areas of study when learning these techniques, which include facial morphology and bone structure, brow shaping and design, color analysis, color theory, proper handling of equipment. Prevention of cross contamination, as well as practice work and the opportunity to observe procedures before actually performing them under supervision. Anyone interested in pursuing training in cosmetic tattooing, including microblading, should first check with state and county regulating agencies. This would also include verifying the qualifications of any trainers, in addition to checking with regulatory agencies for trainer compliance with local health, safety or permit requirements if the trainer is traveling from another state or country to offer training. Who isn't a candidate for microblading? If you "keloid" scar, you need to ask your doctor. Absolutely no prior eyebrow tattooing. What will I have to do AFTER the appointment? Some residual swelling is normal for ALL procedures. Some clients may have no swelling and some may have a lot...this is individualized. Dry skin, itching and tenderness are common after the procedure. These symptoms will dissipate each day and vary on an individual basis. Color will fade/soften 30-50%...the touch up will enhance any area that has faded too much. Healing is specific to each client. It is important to realize that you will need a color boost every 1-3 years to maintain it's fresh natural appearance. If you are out in the sun often, use anti-aging creams, retinol products, acne products, heavy oil moisturizers, receive regular chemical peels or exercise frequently, you will probably need a color boost every 6mos. to 1yr. The better you take care of the treated area, the longer it will last. Avoid direct water on the treated area for 10 days after the procedure. Absolutely NOTHING on the treated area. No makeup, pencils....etc. for 10 days. Apply Vaseline only before showering, remove after showering. After the 10 days, avoid scrubbing the treated area for 1 month. For 10 days, only touch the treated areas with squeaky clean hands. Use clean tissue or DRY terrycloth towel to blot them dry and to remove Vaseline when waterproofing them for showering. DO NOT RUB, SCRATCH OR PICK AT THE TREATED AREA, let any scabbing or dry skin naturally exfoliate off....picking can cause scarring.